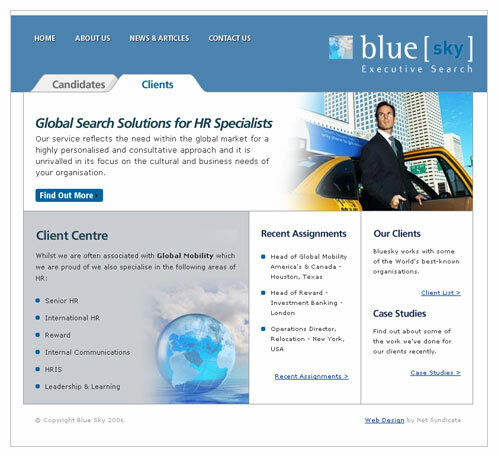 This recruitment agency specialise in the niche markets of Global HR and Global Mobility. They operate around the globe and wanted a professional web presence to reflect this. The solution splits the site into two clear areas; candidates and clients.